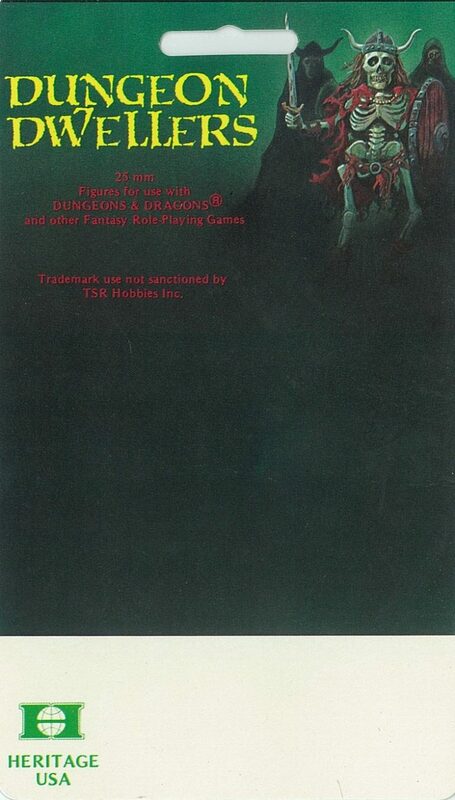 In the Heritage catalogs, the intended usage of the Dungeon Dwellers line of miniatures was with Dungeons & Dragons, as well as other fantasy games including the Dungeon Dwellers paint’n’play games. 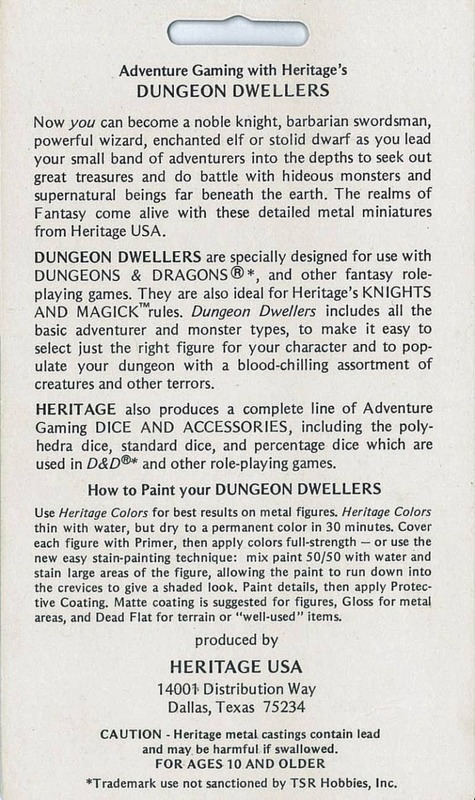 The painted figure packs first appeared in the Heritage 1981 spring catalog. 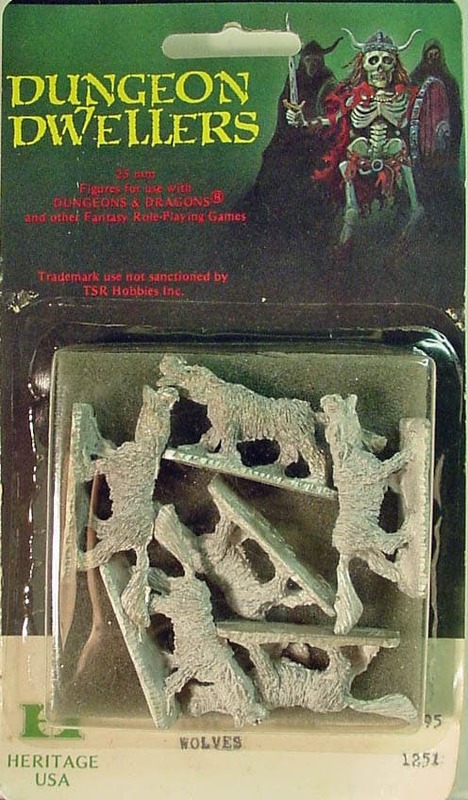 These blister packs were geared towards those who did not wish to paint their own figures. 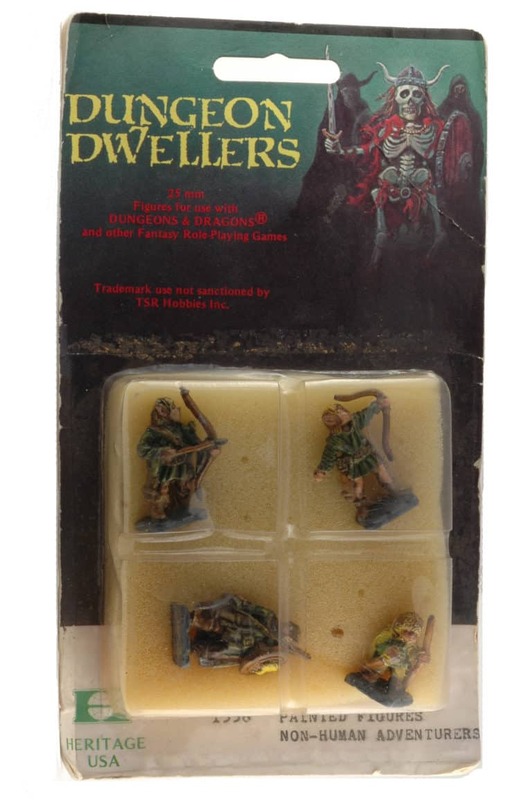 Each pack contained four of the most popular figures from the Dungeon Dwellers line on a grey or beige foam pad, and retailed for $9.95. 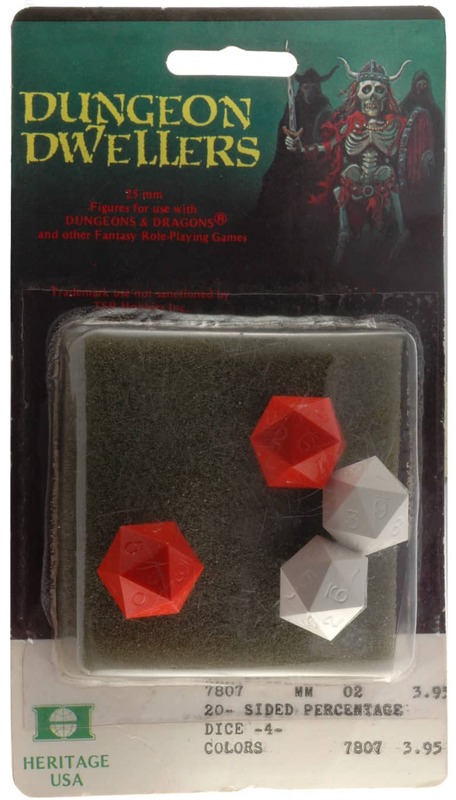 There were twelve different blister packs available, each offering a different class of characters or monsters to choose from. The figures in these packs were painted by Haitians workers. In my interview with Howard Barasch, he discusses the Haitian painters more. Below is a listing of the pre-painted figure packs that were available.